Woke up this morning to a very gray day in south Louisiana. Rain and cold temps were predicted. As the day wore on the weather got worse, so I decided to stay home and cook. Gumbo was on the horizon. 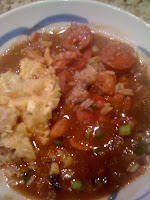 Many folks cook gumbo on cold, rainy days and I am sharing my recipe and method with you. I searched the internet and found that gumbo always contains some sort of meat and a thickener. 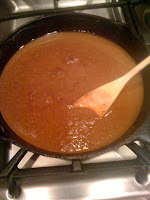 I use a traditional roux to thicken my gumbo. Today I used chicken and sausage as the meats. I am including pictures of the recipe in stages as I cooked it. The finished product is served over cooked rice and with a scoop of potato salad in the bowl. You will notice that I used some convenience products when I cook this delicacy. 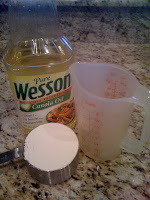 I think it is smart to save some time by using these products that save on preparation time. The results are delicious! Try it...you will like it! The roux and the stock are the only ingredients that I measure: 1 cup flour, to 1 cup oil for the roux and 6 cups of chicken stock are the proportions to perfect gumbo. This is important for a good consistency. 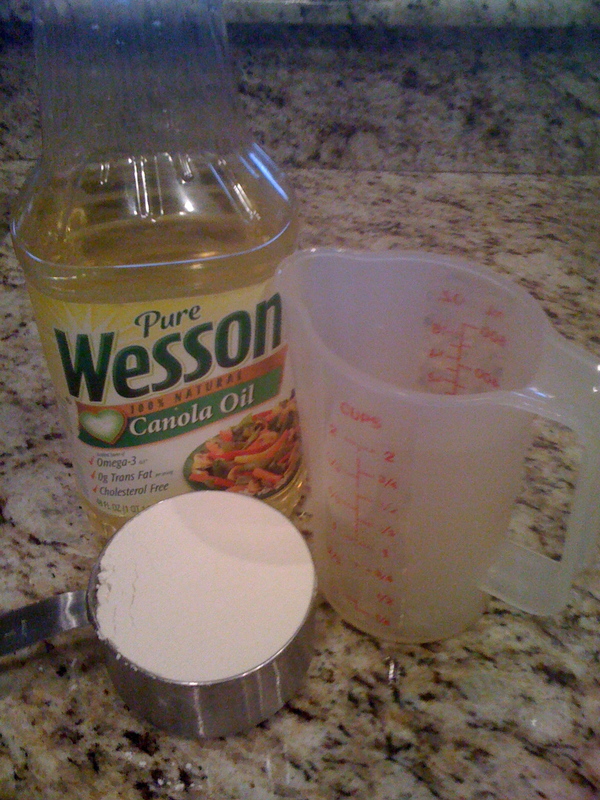 Combine 1 cup of flour and 1 cup cooking oil (preferably canola) in an iron skillet. 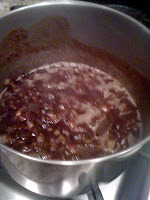 Stir constantly over medium heat until the mixture is dark brown. This may take 30 minutes or so and patience will be rewarded in a perfect roux. Simmer the roux and the seasoning vegetables for about 30 minutes on low heat until the vegetables are soft. Add 6 cups of chicken broth to the mixture and simmer for about 1 hour. I used Swanson's reduced sodium broth. 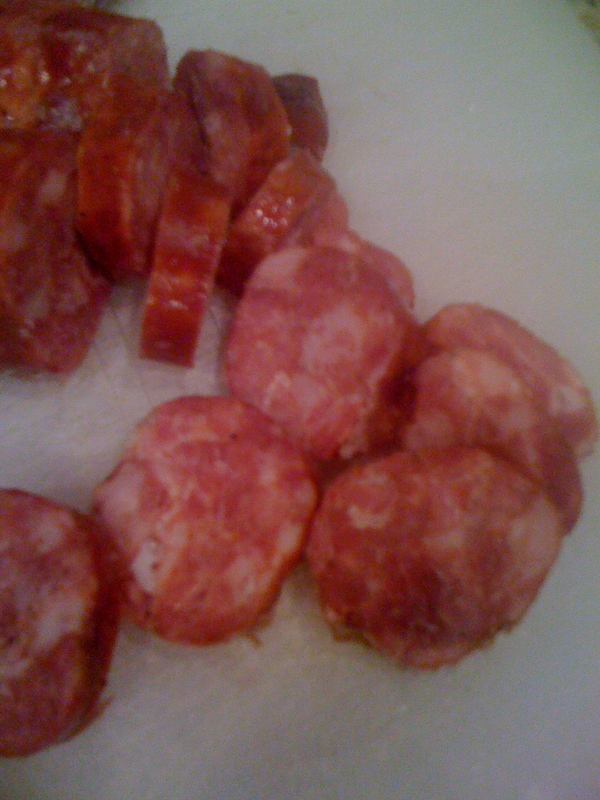 Meanwhile, sliced about 1 pound of sausages (Andouille or your choice of smoked sausages). Stir sausages into the pot. 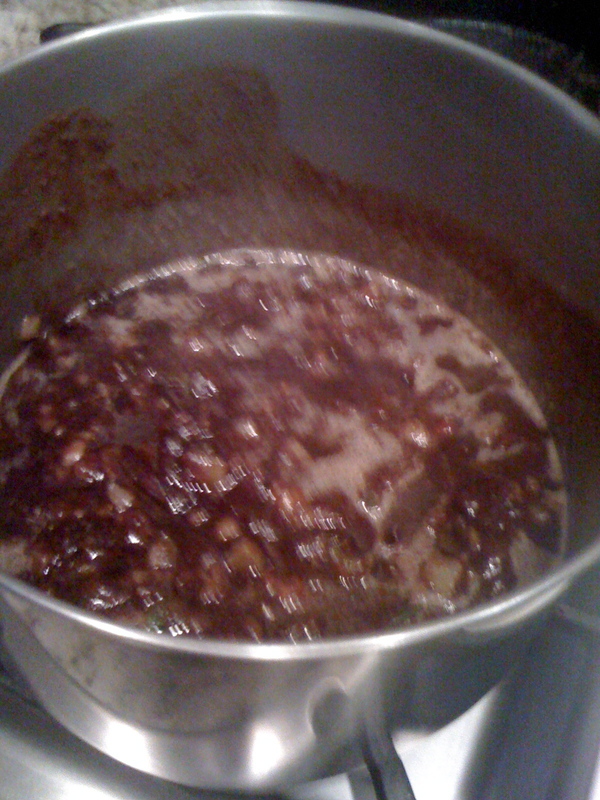 Simmer for about 1 hour. 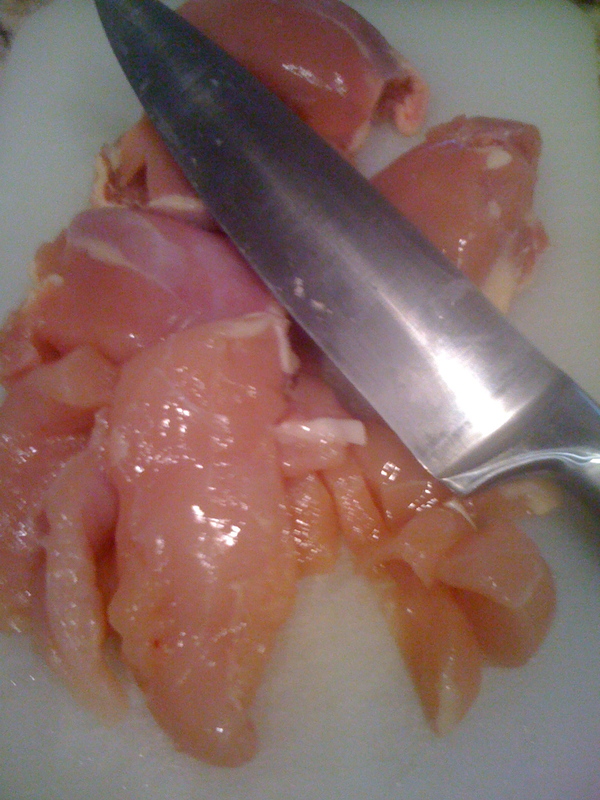 Meanwhile, slice raw chicken thighs and breasts (about 1 pound total) into small, bite size pieces. 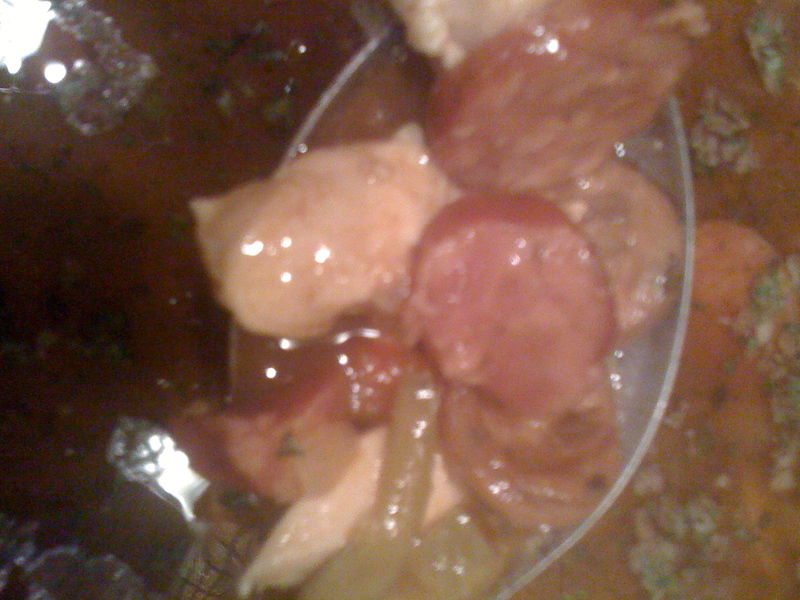 After the sausages have simmered for about 1 hour, stir in the chicken pieces. 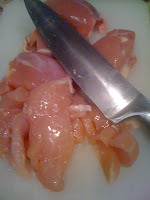 Cook for about 1/2 hour on low or until chicken is cooked. At this point, taste the gumbo and adjust the seasonings. You can add pepper, hot sauce, worcestershire sauce and a small amount of tomato sauce if you like. Dried parsley is also a nice addition. Be careful with the salt. The sausages are salty and lend salt to the gumbo as they simmer. Stir some chopped green onions (about a cup or so) into the mixture. 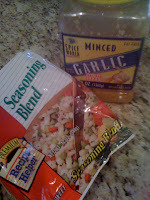 When you have adjusted the flavor to your liking, let the gumbo simmer and make some rice. We also like to eat our gumbo with potato salad. This can be prepared while the gumbo is cooking. Enjoy the feast and be glad you are inside on a cold and rainy day. Today, as I cooked, I had a sous chef! 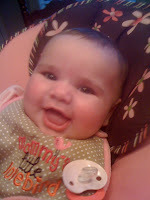 She didn't contribute much to the cooking process, except smiles all around. You would be lucky to have such a helper in your kitchen. Sounds delicious! 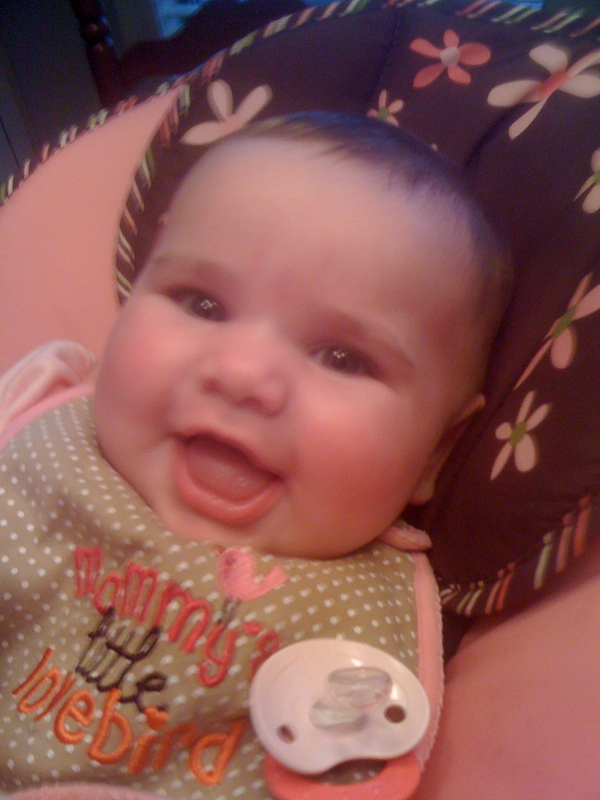 Your sous chef gets cuter everytime I see a new picture of her.